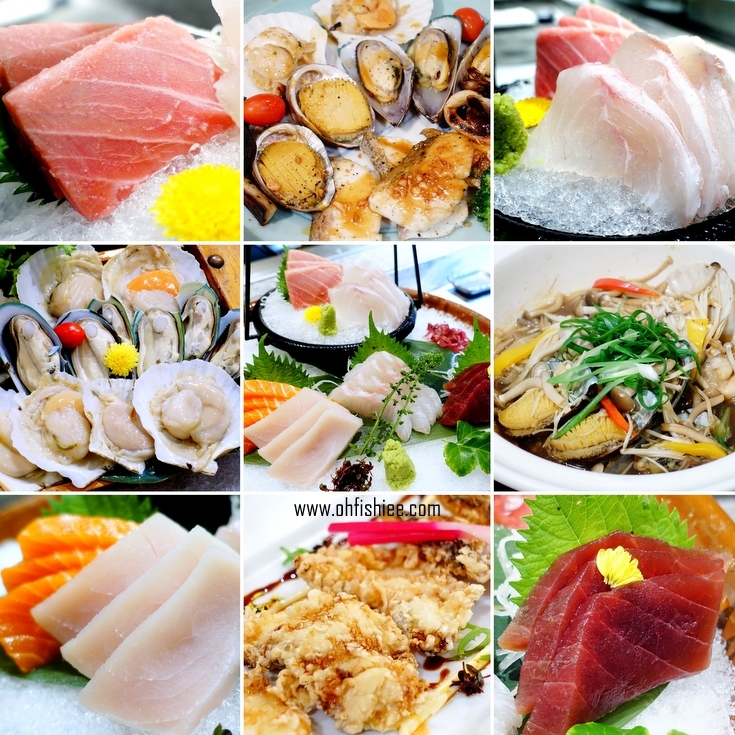 If you ever hunt for the freshest sashimi in the heart of the city, Genji is the right place to visit. Today's dinner is all about the fresh, rare and highly-prized seafood. It is my honour to be able to enjoy an exclusive seafood showcase by Chef Tetsuya Yanagida, a special guest chef at Hilton Petaling Jaya of the evening. 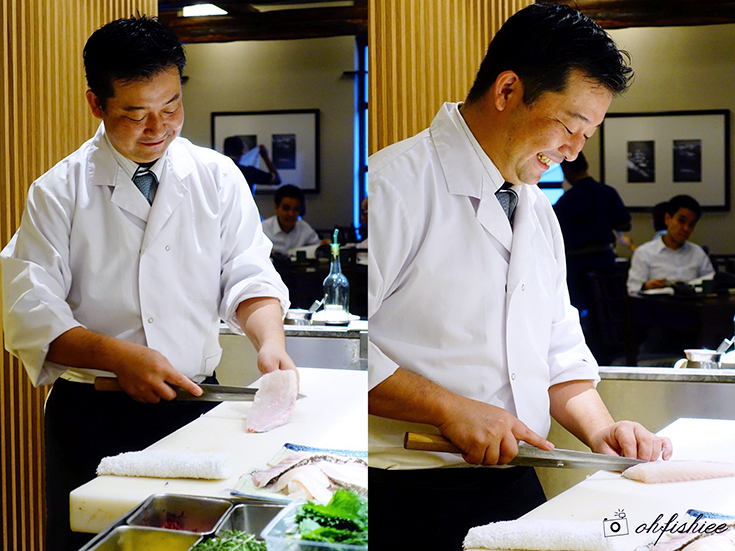 Having practised on hundreds of fish in Tokyo’s Tsukiji Market along with his rich 17-year experience in Malaysia’s top Japanese establishments, Chef Yanagida is one of a handful of chefs in KL who can skillfully prepare the fish using IKEJIME (活き締め) technique. than the usual ones but what exactly is IKEJIME? It is a “rapid slaughtering” method which is kinder to the fish and finer for the diner. A spike to the brain, and the fish will die immediately without struggling (i.e. no flipping of the fins/tail). This traditional practice in Japan is very popular because the fish will be remarkably firmer, fresher and retain better texture, hence it looks more palatable on a sashimi plate. As you can see, the clean, glass-like fillets are totally free from blood stains or blemishes. Each slice is as clear and clean as crystal! In fact, it is the best way to ensure the flesh is of the top notch quality. 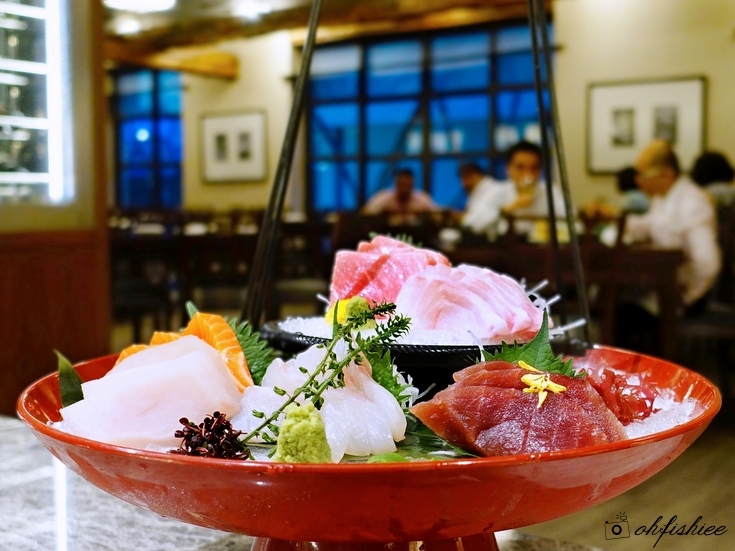 But what surprises us during the evening is the origin of the fish used for the sashimi platter. Can you believe that such high grade Grouper and Red Snapper are actually farmed locally in Pangkor Island? The producer even has the Sustainable Seafood certification, no doubt the quality is so good! Apart from the signature grouper and red snapper, other types of sashimi are equally remarkably as every slice yields an extra crunchy texture with a burst of juicy freshness in the mouth. The thickly sliced tuna belly, salmon and tuna are amongst my favourites of the evening. Other imported shellfishes are available too. Another good way of savouring the fresh catch is to have them in the teppanyaki style. While we appreciate the juicy goodness of the wild catch such as scallops, mussels and abalones, nothing beats the enjoyment of sinking my teeth into the perfectly grilled Red Snapper. I am on cloud nine when enjoying this tender slice of Red Snapper, generously drizzled with Teppanyaki sauce and topped with garlic crisps. The silky smooth, fine flesh is so flaky, so heavenly that I can wipe out the entire platter on my own! If you prefer something lighter in taste, try the golden slices of perfectly deep-fried grouper. Beneath the ultra crisp tempura-like coating, you will find the flaky white flesh beautifully retains its moisture and firm texture. I am sure you'll get hooked on it after the first try! At Genji, we truly experience how the Japanese enjoy their meal. Soup is the soul food for Japanese, and here we get to try the assorted seafood drenched in two types of broth-- The darker soy-based soup is more savoury, whereas the light tangy broth is more refreshing. Depending on your liking, you will love the enhanced flavour of the seafood in an unique way. Sushi roll with raw fish in the center is equally recommended if you need something more filling yet at the same time able to enjoy the raw fish at its sweetest state. After a series of protein-loaded dishes, it's time to balance it up with some carbs. Simple as it seems, the garlic fried rice is exceptionally good and you probably can't have it elsewhere! The aroma is excellent, while the bitey texture of the sticky sushi rice is just perfect for my liking. No great meal ends without a sweet note. 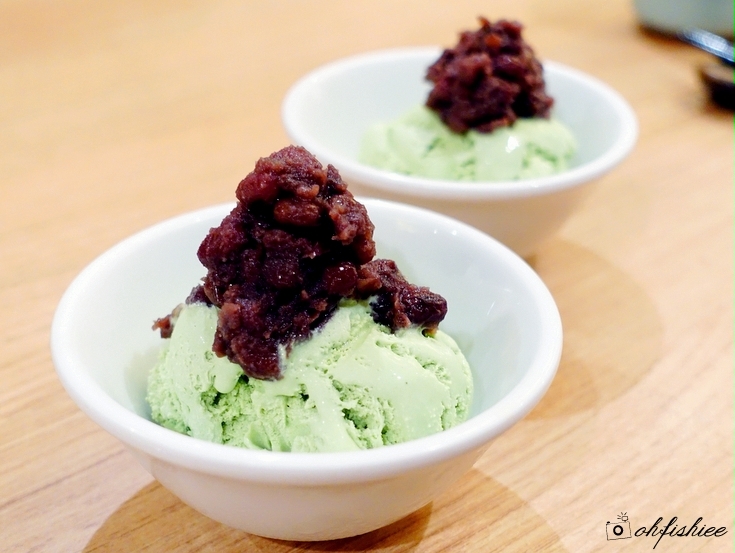 The signature dessert here is my all-time favourite creamy green tea ice cream, topped with a huge dollop of less sweet red bean. The ice cream is not as heavy in texture, but I'd appreciate if the sweet bitter taste can be slightly stronger. Overall, an IKEJIME seafood feast is an experience on its own, which one must try at least once in a lifetime. The tasty offerings at Genji truly show us the heart and soul of how the Japanese appreciates every meal, in a relaxed and chill environment, with friends and family. Definitely looking forward to my next gastronomical journey at this highly recommended Japanese restaurant!